Jamie Becker was born in Whittier, CA. With the support of her family, the 21 year old made the move to Nashville about 3 years ago. Her sultry and bluesy sound leaves you wanting more. Her eclectic vocals might remind you of big names such as: Janis Joplin, Norah Jones, Stevie Nicks or Patsy Cline; but what I believe makes this girl so special (besides her phenomenal voice) is that she has a sweet personality and smile that *shines* so bright, that she has the ability to brighten any room. We recently sat down for an interview with Jamie to learn even more about her. There’s moments when the music takes you in and the only thing that matters is the song and everything else gets lost in the song. My smokey voice and soulful approach to music backed up by a fun-loving spirit and personality. My dad Jim Becker. Not only is he a phenomenal father, but he’s a captivating songwriter, singer, and guitar player as well. He recently came out with his self-­recorded and mixed album “Dinosaur” which is starting to take off in the Los Angeles area. He is my biggest inspiration and role model. Getting to sing backup on “You Can’t Always Get What You Want” with Belmont Chorale for the Rolling Stones was unbelievable. I grew up singing along to Dead Flowers, Gimme Shelter, Streets of Love, Tumbling Dice and the list goes on and on so it really was a dream come true to share the stage with Mick Keith, Charlie, Ronnie, and my idol Lisa Fischer. Some advice I’ve been given which has really paid off is aiming to stay true to who I am and working hard at it despite the obstacles along the way. People’s houses­, hands down! The sitting around the campfire vibe can be so much fun and intimate! I aim to achieve the same atmosphere in my shows elsewhere. The Album!!! Currently getting the recording done for a few new tunes including “I Sure Like Country” which traces the genre back to storytelling in its lyrical content. Also looking forward to the fun soul elements in this next album! Also a music video is in the works! I’m absolutely terrible at social media, but the last time I posted a video, it seemed to go well and it was pretty fun to do! So, I’ll probably do more of that! And yes, interaction at shows is the best. I love getting that one on one feedback and getting to know fans, especially since they are the reason I do music in the first place! My family has been so integral in supporting my endeavors. My mom shares every project I’ve ever done with her friends, and my dad is always the first to share posts about my music on social media! They are my biggest supporters, along with my sisters and boyfriend, who not only encourage me when I hit a roadblock, but love me and inspire me constantly. Jack White. He gets into the nitty gritty soul of music and would be a blast to jam with. 3 solid albums over the next ten years would be great! At least 50 shows a year would be stellar. I also never want to set limitations on what I create. I hope to evolve as an artist and follow the music where it takes me. Dr. Java,­ a coffee shop in Whittier, CA, where I used to perform with my dad who is also a singer/ songwriter. I would do the first hour, he’d do the second, and we’d finish with an hour of duets! We usually ??? Singing since age 5; writing songs since 11; performing publicly since 12. I’ve been singing since I was a little girl. I starred in some main roles in elementary school plays; in middle school began playing music regularly at a coffee shop called Dr. Java with my dad in our duo, “The Beckers”, which later evolved to the Southern roots duo “Deep Fried Bubblegum”. In high school, I had a band that performed at school events and even put together a John Lennon tribute on the anniversary of his passing. I was always doing music and loving it. Academics was a priority, but going to late night open mics was too, as well as going out of town on weekends to perform at festivals, etc. With all that, I think the defining moment was when a Grammy nominated friend of my father’s pulled me aside after my performance in a group to raise money for Paradise High School’s Music Department( my dad’s alma mater) and told me that if I wanted to do music for a living, he believed I could be successful. It was that conversation which got me seriously thinking about my passions and the reality was that I can’t imagine a future without music. All the time. A ladybug and a boy sparked one of my first songs when I was 12. Some painful times influenced “Sweet Lord”, and a frustrating conversation about genre stereotypes led me to write “I Sure Like Country”, which aimed to bring the focus back to my favoring a story-themed country song. To be able to support myself doing what I love and maybe have a career like Norah Jones. People love her music but paparazzi are not at her door all the time. In general, what are your hopes for the music industry? I want to see more stars who can carry a career with their music alone, as opposed to the all the glittery acrobatics and dancing of the shows and gossip of their social lives. I am a strong believer that if more songwriters/artists spent more time developing a song, as opposed to pumping one out to meet a deadline, there would be more artist success and audiences would begin to value music even more. Jamie Becker has the type of passion that you can only be born with. Jamie’s love for music and her appreciation for her family’s influence on her musical career is something that is very humbling. Shine On Music City thrives on artists that are truly authentic and perform because of their love for music. We are grateful to be a part of a chapter in Jamie’s musical journey, and we can’t wait to see where her talent takes her! Be sure to follow Jamie on Facebook and check out more of her music through SoundCloud and Reverbnation. 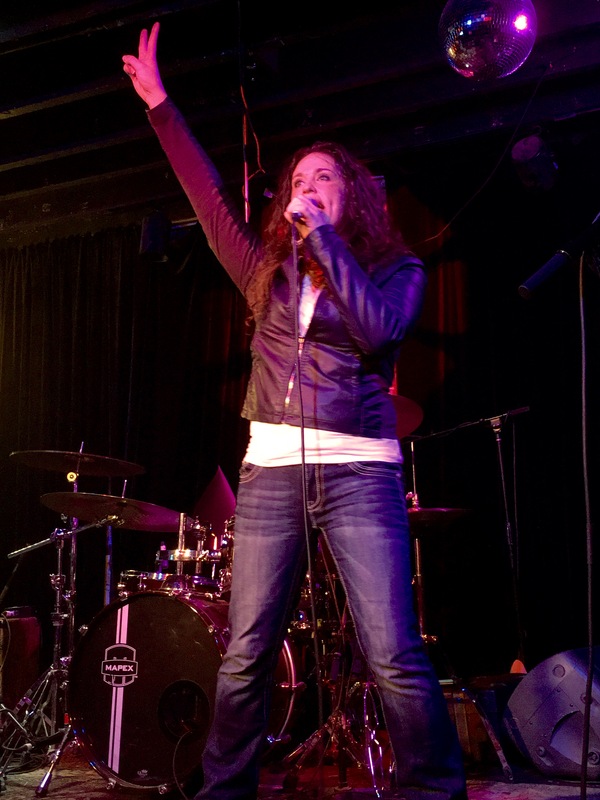 Rachel Lipsky exploded onto the country music scene when she won the Pepsi Southern Original competition in 2014. In November 2015, Lipsky released “Ready Set Whiskey”. The single showcases Lipsky’s unique blend of traditional southern rock and brass knuckles country and invites listeners to the party. Rachel Lipsky has opened for Blake Shelton, Keith Urban, Lady Antebellum, and Hank Williams, Jr. She has also been invited by Armed Forces Entertainment to perform for American troops overseas multiple times. Lipsky has won IMEA’s Country Female Vocalist Award and was a finalist in UnSigned Only’s International Songwriting Competition for “Ready Set Whiskey”. I met Rachel Lipsky recently and she immediately impressed me. She truly is a firecracker on and off stage! Lipsky will blow you away with her powerful vocals and her entertaining, sassy stage presence. Rachel may seem like a country artist, but she has some southern rock in her blood. Off stage, she is a sweetheart and her passion for music truly shines through when you meet her. Here is a more in-depth look into Rachel, who she is, where she’s been and what’s in store for this talented Country sweetheart. My favorite part about being a musician is being able to share the amazing gift of music. Music is the international language, it moves and evokes emotions, it helps us heal and resonates to our core. Music connects the world and breaks barriers. It’s exciting to be a part of this experience. What makes me unique as an artist is what makes me unique as a person. I am who I am. I try to bring out my personality in my songs while I’m on stage. I’m upbeat, sassy, wanna rock out and don’t-care-what-other-people-think kinda brass knuckles country. Is it challenging to have a real social life outside of performing? What’s a social life? Haha! Being focused on one thing has taken me to new heights in my career but there is a ton of sacrifice that goes along with it. I have an amazing and solid group around me that is very understanding and supportive. I am willing to sacrifice my social life for a music career. What do you do to keep the balance? I have to take each week as it comes and I have to decide the level of priority of each task everyday. I do try to make a small amount of time for me each day so I can get my workouts in or a little cat nap. What do you do in your personal downtime? When there is personal downtime, I enjoy watching movies, hiking, camping and hunting. Mary Chapin Carpenter has been the biggest inspiration for me as an artist. Chapin is such a hard working, super talented lady. She was ahead of her time while crushing the charts at her peak and still to this day tops the Billboard charts in the AAA format. To have staying power like that is a rarity and impressive. The biggest accomplishment I’ve been able to experience in my career so far is going twice overseas to the Middle East and Africa to entertain our troops. It took me 6 years of applying before I got accepted and when I received the first acceptance letter, it was an amazingly emotional day. It’s my favorite thing to do as an artist and definitely the most rewarding. I hope to do it every year for the rest of my life. I won a contest with Pepsi last year and that gave me the opportunity to record some new music. With the studio time I won, my producer Shane Barrett and I were able to record 6 new songs that my team and I are super excited about. We just released the first single from the new batch of recorded songs, called ‘Ready Set Whiskey’, I wrote this song with my friend, Dan Banks. The music video is almost ready and we will be releasing that early in 2016. Do you have any big shows or projects coming up? If so, what are they? We have some really fun tours in the works for next year and I am SO excited to release more of the new music in 2016. Rachel Lipsky is truly a total package. I know that great things are going to keep happening for her. This is definitely a girl you’ll want to keep watching out for in the country music world. Rachel’s latest single, “Ready, Set Whiskey” is now available for download and streaming on iTunes, Soundcloud, YouTube, Reverbnation, and Bandcamp. You can see Rachel’s full schedule on her website http://www.rachellipsky.com and follow her updates on Facebook, Twitter, Instagram. Julia Cole, 22 and a Houston, TX native, made the move to Nashville to develop her music career. I recently had the opportunity to sit and talk with Julia. After getting to know her on a more personal level, I must say that I was genuinely impressed. Julia started singing in high school after her teammates and coaches convinced her to start performing the National Anthem before her high school volleyball and basketball games. Soon after, word spread and she was asked to perform at countless events, including sold-out crowds before the Houston Texans, Houston Astros, Houston Dynamo, and Houston Livestock Show and Rodeo events. Thanks to her mother, she started piano at age five. She began writing songs and immersed herself into the Texas country music scene. There, she opened for Earl Thomas Conley, 10,000 Maniacs, Tab Benoit, Cory Morrow, Jimmy Webb, and many others. She also performed before Bruno Mars, Blake Shelton, and Luke Bryan concerts at the Rodeo. In addition to graduating early from Vanderbilt University, she is now collaborating with many well-known songwriters and producers, including Chuck Cannon and Lari White. Recently, Julia signed with CAA, Holler! Music Publishing, Martingale Entertainment Management (Hunter Hayes), and BMI. This girl has so much going for her. With her sweet nature and her unique, soulful vocal talent, she truly brings something special to Nashville. Not only is she musically talented, she is also very professional. Her drive and excitement for music shines through and lights up the room the moment you meet her. In this interview, we get a peek into Julia Cole’s life and musical journey. There are two distinct moments that I absolutely live for as a musician. One is that first breath after a song has been written and you realize that you just created a piece of art that can never and will never be erased. No matter what medium it’s recorded on…the melody is embedded in your mind. It’s awe inspiring to me to know we are capable of creating something so beautifully indestructible. The second is when a crowd sings along at the top of their lungs, showing just how much they’ve connected with my music. My music is such a blend of genres that there really isn’t one single musician I could say I’m like. The urban beats, soulful voice, country lyrics and melodies, and electronic dance elements combine into something I’ve never heard before. Considering how I’ve spent my last three and a half years attending Vanderbilt University, majoring in Entrepreneurship and playing volleyball, while chasing my music career, I’d definitely say my time management skills have skyrocketed. However, having that connection to a collection of people my age uninvolved in the music scene made it pretty easy for me to have a real social life unrelated to my career. In my downtime I love running (ran the full Music City Marathon last year), eating ice cream and dark chocolate, face-timing my sisters, and drinking Fireball. WRITE, WRITE, WRITE. The ability to write great songs is a huge asset, so work on it as much as possible. Publishing companies are very commonly becoming the discoverer of new talent in the scene. They focus on your songwriting more than anything else. Obviously work on performance skills as much as possible- practice makes perfect- but don’t forget about generating amazing material. At the end of the day, it’s all about the song. We just finished recording an eight song EP, the “Tex-Mix EP,” and are currently working on scheduling a release and recording an acoustic Tex-Mix version! Instagram, Twitter, and Facebook have been my favorites! Although I began playing piano at age five and sang in my middle school choir, I didn’t seriously start pursuing music until my junior year of high school. My volleyball and basketball coaches would have me perform the National Anthem before all of my own games starting freshman year. By junior year, word spread around town and I began singing the anthem for the Texans, Astros, Dynamo, and NASA. After I stood before a sold out crowd of 75,000 people in Reliant Stadium (now NRG) and found myself completely void of butterflies or nerves, I knew performing was what I was meant to do. I picked up guitar the summer before college and moved to Nashville! My family, best friends, momager (Emmie), publishing/songwriting family (Chuck Cannon and Lari White), managers (Ansel Davis and Candice Watkins), agents (Blake McDaniel and Jim Butler), BMI reps (Mark Mason and Jody Williams), and original Texas Country Family (Kyle Hutton and Bonnie Bishop). I received a Facebook message from a girl asking me to write a song for her mother who had recently been diagnosed with cancer. I wrote “Beautiful Fighter,” a song about defying odds. Believing in prayer, and having hope, I happily agreed to perform it at her benefit fundraiser. The mother had no idea a song had been written for her and was absolutely in shock. There wasn’t a dry eye in the entire building. That day taught me the true power and meaning behind songwriting and performing. I’m beyond excited to report that she is currently cancer free!!!! After meeting Julia, it is obvious that this girl is bringing music that is new and unique to Nashville and the music world in general. I can’t wait to see what is in store for this bright, shining star. Julia’s single #GetAwesome is available for download and streaming on iTunes, Spotify, Reverbnation, YouTube, Apple Radio, Joox Music and SoundCloud. Her full 8-song EP will be available soon. You can see Julia’s full schedule on her website http://www.JuliaColeMusic.com and follow her updates on Facebook and Twitter. 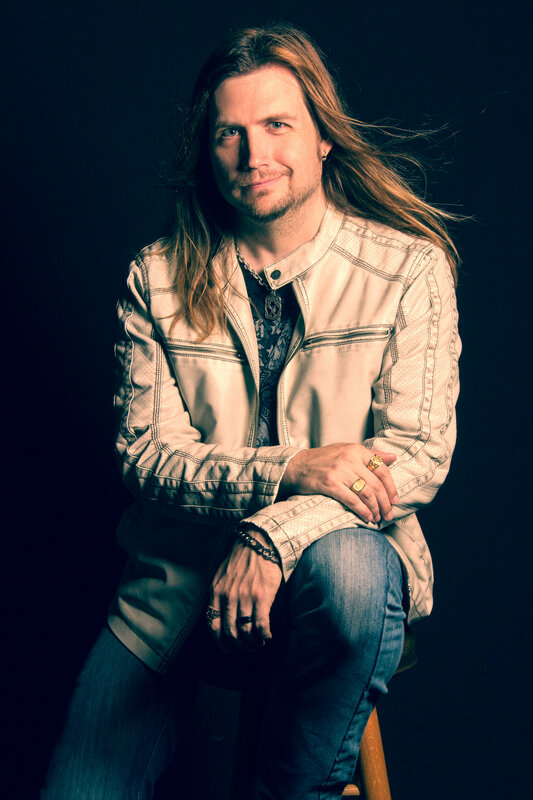 Stephen Kelly Hunt is 31 and originally from Kentucky, but these days you can find him most nights on Broadway in Nashville at Legends Corner, Second Fiddle, The Stage or Crossroads. From the very first night I heard him play, I could tell immediately that he was something special. I have never seen a musician quite like him on Broadway. Stephen has such an amazing musical ability and eclectic taste in the music that he plays. From his guitar riffs to his genuine desire to connect with his fans, he is truly impressive. Not only does Stephen capture the heart of every girl in the room, but also it is very obvious that he is a natural musician at heart. From the moment Stephen steps onto the stage, you can tell that he’s hard working and clearly dedicated to his craft and his fans. Over the past few weeks, I have really invested in seeing what all he has to offer the music world, and this guy definitely does not disappoint. This week, I had the opportunity to get to know a little bit more about him. As I suspected, he truly impressed me even more in this interview with his humble, down-to-earth nature. The emotional/physical/mental taxing that happens to me on stage. If I do my job very well, I give away everything I’ve got to give away during a performance. If the gig is terrible, I give 150% of my mind and body into making it the gig I want it to be. I drive home from every single gig feel very low and depleted, even after incredible gigs. I often read about post-gig depression. Who inspires you musically? What’s the one album you can’t live without? Of course that’s a huge list, but I’m most inspired by Jon Bon Jovi (and band), for their passionate performances on albums, and Jon’s unbelievable song writing. Many of my favorite songs are Bon Jovi songs. Don Henley also really inspires me. I couldn’t live without The Wallflowers “Bringing Down The Horse” album. I’m confident that my most embarrassing moments, I was too drunk to be aware/remember (I’m 4 years sober, I had a severe drinking problem). My most embarrassing moment was when a venue paid my band an absurd amount of money to play, and the drummer and and bass player were too drunk to function before the gig even started. The other guitar player, to cope with the situation, ended up hammered. I was 4 months sober at that time. It was a nightmare. There was a Monday night show that happened at The Stage in Nashville, it was the Twang-Free night. It was a TOTAL industry hang, the best musicians in town, and celebrities, would line up every Monday night to see these guys play. It had a PROFOUND impact on me. Between 2005 and 2012, I drove 4 hours to see the show about 200 times. In July of 2012, despite not living in Nashville, or really being a part of the scene, I was asked to play as the “fifth man” one night. People still find that hard to believe. Have a tangible, spoken definition of your expectations of a music career. What exactly do you want? If you have listed, exactly, your goals, you’ll have a clear picture of what you must sacrifice to obtain those goals, and when the sacrifices are mounting (repo men, an air mattress on the floor because you can’t afford proper housing, driving a very humble vehicle, no dating or social life)- you’ll understand exactly why you are making those sacrifices, and whether or not you think your goals are worth all you endure/give up. The Stage on Broadway, no question. Best live music bar in America. We are the total sum of all of our actions, and at age 31, I like who I am, I feel successful, and I can see a future. I’ve made a TON of mistakes, I carry very ugly scars, but I’m the real deal. Maybe drinking sidetracked me, or maybe it was that period that humbled me. Maybe I didn’t understand debt when I was young, but now I have a good understanding at where wasting money gets you. So I never think about regrets, I only think about recovering from mistakes in a way that makes me stronger, more able, and more conditioned. Do you have any big shows or projects coming up? If so, what are they? What projects are you currently working on? If I play at The Stage on Broadway on a weekend, that’s a big deal for me. You better believe I’ll plaster that on my social media. I would like my lower Broadway career to have an “autopilot” status, so that I can spend my weekdays developing music row relationships. A deal with a major label is what’s on my mind. For 10 years, I have given every bit of myself to this. The most seemingly insignificant decisions a person could make, I’ve made every one of them with a music career on my mind, and done so for 10 years. A follow-for-follow on social media, so I can see their lives and what inspires/motivates them. This interview is proof that Stephen Kelly Hunt wants his fans to genuinely know who he is and where he came from. I’m excited to see where his talents take him. You can check out his website or connect with him via social media. I had the pleasure of meeting Cort Carpenter and his band a couple of years ago in downtown Nashville when they were playing at Crossroads one night. I immediately could see Cort truly loves performing & getting to know his fans. It’s always a great experience when you get to see Cort performing live & it has been a pleasure seeing his career grow over the past couple of years. I recently had the opportunity to interview Cort & learn a little bit more about him, and it truly reveals the love he has for his fans. I love so many different types of genres of music. I am a country singer. I love to dance to EDM. I listen to oldies frequently. The list can go on. I do love CCR though. They are one of my favorites of all time. CCR- “Chronicle” is one of my favorite CD’s ever. Well it wasn’t embarrassing as much as it was shocking, but I was playing the Stage one Friday night last year and one girl threw her full beer bottle at me from about three rows back. It bounced of my shoulder, but if she would have hit me in the face, it would have surely knocked out my teeth. I stopped the show and got her out of there. What do you consider your biggest accomplishment (so far) in music? What has been the coolest experience you’ve had in your career so far? I have had a lot of cool moments so far… The most recent one though was a show I did with Love & Theft back in my hometown in April. It was an acoustic show and the place sold out. It was crazy to see so many of my fans packed into this amazing theatre. They were singing every single one of my songs which was pretty cool. Out work the competition. So much talent out there, you have to grind and grind. Just never give up and keep pushing. Hmmm. I love a lot of venues. Going to Chicago is always fun for me because of our fan base up there. Playing at Skooters Roadhouse in Shorewood, IL has always been a favorite of mine. Love the owner, love our fans. They always come out and pack the barn up. I also really love to play the Grizzle Rose in Denver & the Oregon Jamboree in Sweet Home, OR. I am currently promoting my latest single, “Let Me See Your Koozie”. Just finished my official music video for it, and the song itself has been doing really well so far without any big radio promotion. We have some plans for the song that could take us well into 2016. Also, I am going to begin working on my next full EP which we have already started writing and should begin recording in the months to come. Do you have any big shows coming up? We just finished up a show with Jana Kramer. At the end of this month, we will be at Country Thunder Festival in Twin Lakes, Wisconsin July 23rd-26th warming up the stage for Jamie Lynn Spears, Tyler Farr & Blake Shelton (just to name a few). We also will be playing the Oregon Jamboree July 31st-August 2nd and will have 3 performances at it. Two full band shows, and one special acoustic tent party with some radio folks. What do you want your fans/future fans to know about you? I always try to help people and animals in need. People asking for money, I always try to give them something because they need the few bucks more than I do. Of course, I try to use good judgment to see if it could really help them. I feel people sometimes are down on their luck, and a couple bucks could brighten their day or help them get a coke, a water or a candy bar. With animals, I always try to help if I see animals in need. I’m a huge animal guy and I have always been sensitive to animals in need of help. Those two things are things people may not know about me. People can have their own opinion or just look away from a bad situation; however, I choose to lend a hand. I would want them to know that they would never find another artist who cares more about his/her fans than I do. I never forget a face, and am always watching and taking notes of the fans that are helping me move up. I genuinely care about every fan I have. I think social media is the most convenient way to connect, if not in person. Social media allows us to connect instantly and I think that is huge. The new APP “Periscope” has been a thrill to use because now we can stream LIVE shows, interviews, or whatever we want, instantly. This allows us to have people from all over the world watching us when we stream it. It’s free for fans, and lots of fun! 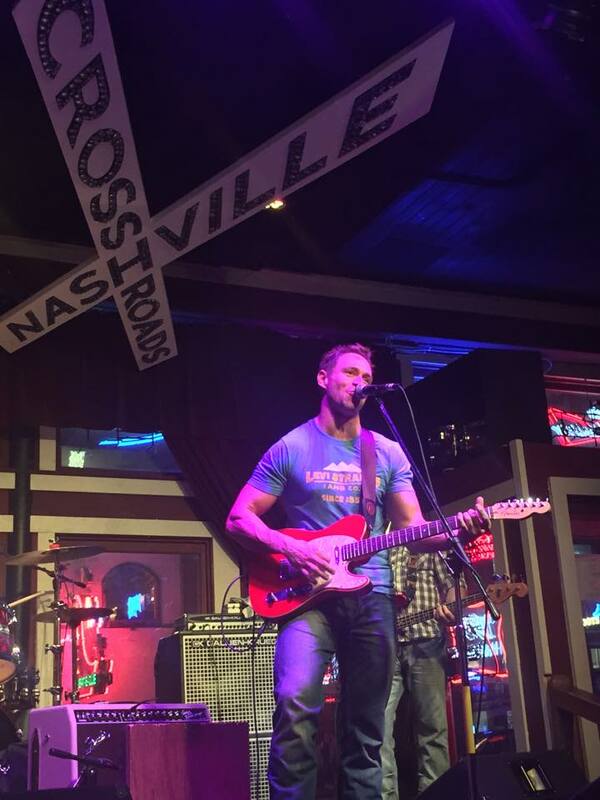 You can catch Cort & his band playing most Wednesdays at Second Fiddle in Nashville. You can also see him perform at Legends Corner on most Friday nights and at Second Fiddle on most Saturday nights. Shows start at 10:30pm. 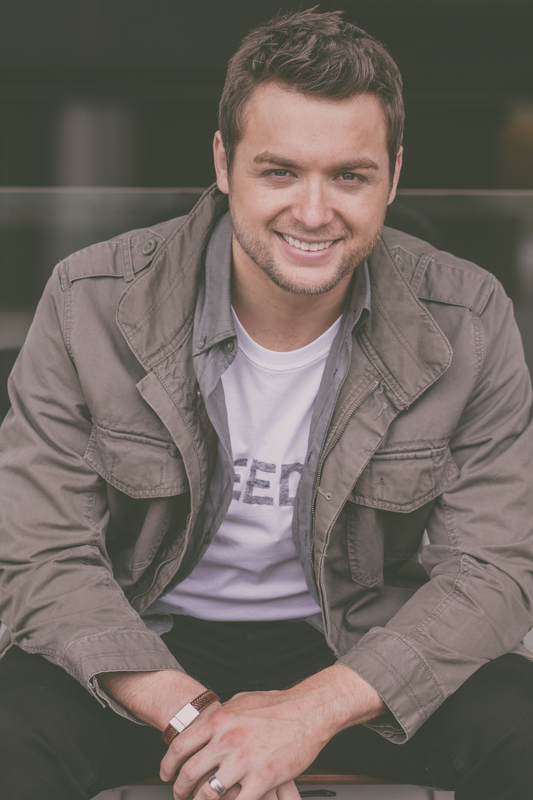 Check out the video for Cort Carpenter’s latest single “Let Me See Your Koozie”. Check back to learn more about the artists & bands featured on this site.